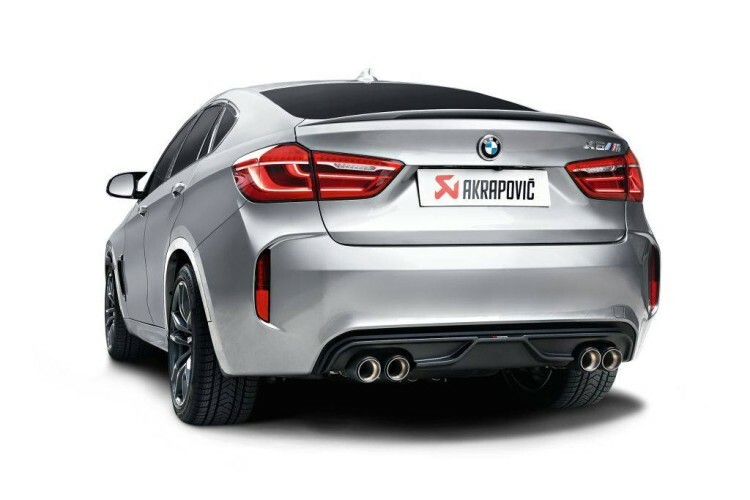 Slovenian exhaust masters Akrapovic, just announced that the 2016 BMW X6 M owners can now order their bespoke custom exhaust system for an enhanced sound. Their new exhaust is now available for purchase around the world. The Evolution Line Titanium system is made from high-grade lightweight titanium that not only brings out a different sound but also sheds weight and adds some horsepower gains. 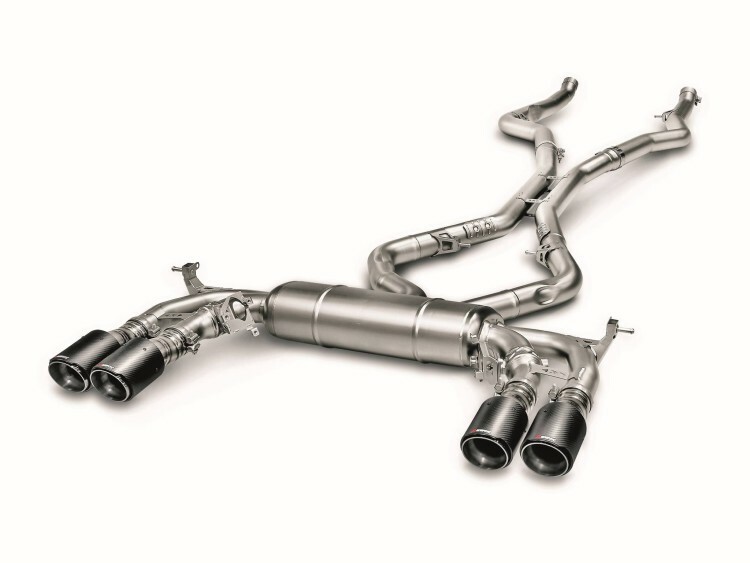 To make things even better, the Akrapovic solution fits directly onto BMW’s stock downpipes, allowing you to avoid purchasing more parts to change the sound of your car. As for the tailpipes, they are finished in hand-crafted carbon-fiber trims that let everyone know what they’re dealing with, thanks to their Akrapovic badging. The kit is plug & play and shaves 14.8 kg (32.7 lbs) of weight from the generous hips of the X6 M, while also increasing the horsepower count by 5.3 HP and the torque figure by 8.4 Nm (6.2 lb-ft). Compared to the stock values of the car, 575 HP and 750 Nm (553 lb-ft), it doesn’t seem like much, but it’s nice to know you have it all under your right foot. The installation takes about three hours and if you like doing things yourself, it should be rather straightforward, considering the system is made-to-fit. As an option, you can now also get an Akrapovic carbon fiber rear diffuser that would fit nicely in between the quad tailpipes. Prices haven’t been disclosed yet but don’t expect any of these to come cheap.